In view of the current inflamed situation in several countries in response to the production of a film in the USA which evidently intends to offend our Muslim brothers and sisters by insulting the Prophet Mohammad, and in view of the fact in recent years similar offensive incidents have occurred in some European countries which evoked massive and violent responses worldwide, we hereby suggest that an international declaration be negotiated that outlaws the intentional and deliberate insulting or defamation of persons (such as prophets), symbols, texts and constructs of belief deemed holy by people of faith. This suggested declaration should not, in any way, be seen as contradictory to the freedom of expression that is enshrined in Article 19 of the Universal Declaration of Human Rights. However, it should encourage all people (including controllers of media) to be responsible and restraining in expressing or promoting offensive or malicious opinions with regard to the religions of the world, especially in today’s climate whereby those opinions and expressions may be rapidly and widely spread through many media. We are suggesting such a declaration in order to avoid the possibility of further violence in the future – violence that may easily lead to wars between nations and conflicts between people from different cultural or philosophical backgrounds or followers of different faiths. It may be suggested that some of the violent responses experienced in the last few years are out of proportion to the original, offensive and insulting acts. However, it is a fact that people in different parts of the world react differently, especially when it comes to matters of faith. Hence, there is a need to take this suggested declaration under serious consideration. Finally, as people living here in the Middle East, we see that the way ahead for peaceful coexistence and religious harmony is through mutual respect and love. Such, Sir, is the motivation behind suggesting this declaration. 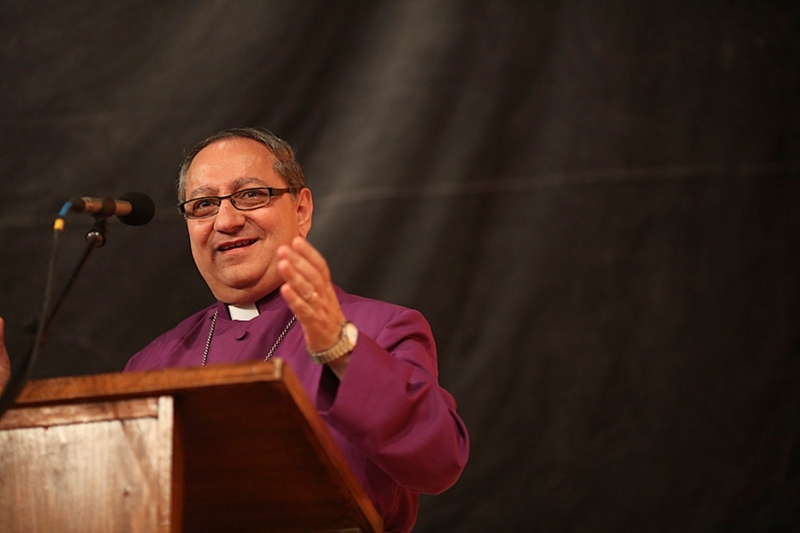 Please click here to access the original pdf of the letter, distributed publicly with Egyptian Anglican Church newsletter.